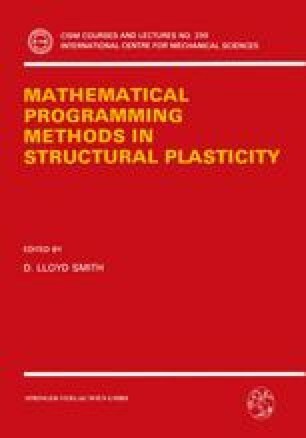 Systematic mesh and nodal descriptions of the laws of statics and kinematics for the limiting state of plastic collapse in a structural system are set out. Then the constitutive relations appropriate to this condition are presented in such a way as to emphasise their inherent complementarity. The mixing together of these three independent ingredients — statics, kinematics and material constitution — gives rise to the vectorial formulation which governs plastic collapse: it is identified as a linear complementarity problem. From it are derived the dual linear programs which give expression to the variational principles associated with upper and lower bounds on the collapse load factor.